My firstborn started prep this year and losing him to the schoolyard isn’t just a bittersweet moment for me. His little sister (and full-time shadow) is also feeling the loss of her constant play companion. She’s torn between missing him dreadfully and enjoying the freedom that comes with having no big brother to boss her around! Not to mention the novelty of having mum to herself a whole lot more. So here’s a special project we’re going to do in our newfound mother-daughter time that she can also use to count down the days until the school holidays bring her bossy brother back. 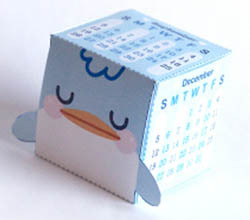 These little build-your-own calendars from Milkbun are too cute for words, in a typical Hello Kitty-kind of Japanese way. 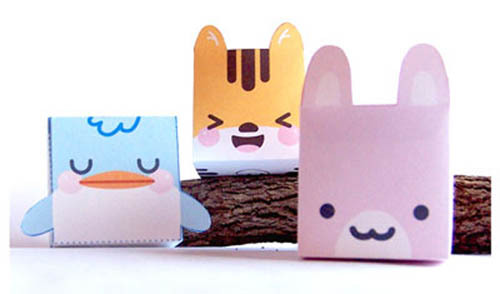 There are three to make – a tiger, bunny and penguin. 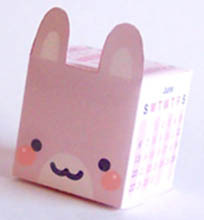 All you need to do if you want to see out 2010 in saccharine-style sweetness is download the files here, print on some heavy paper via your own home printer, stick the sides together carefully with some glue or tape and – hey, presto – you’ve got an adorable little desk calendar companion. Or three. So easy, a kid can do it. Which for all of us here at Babyology, is kind of the whole point!